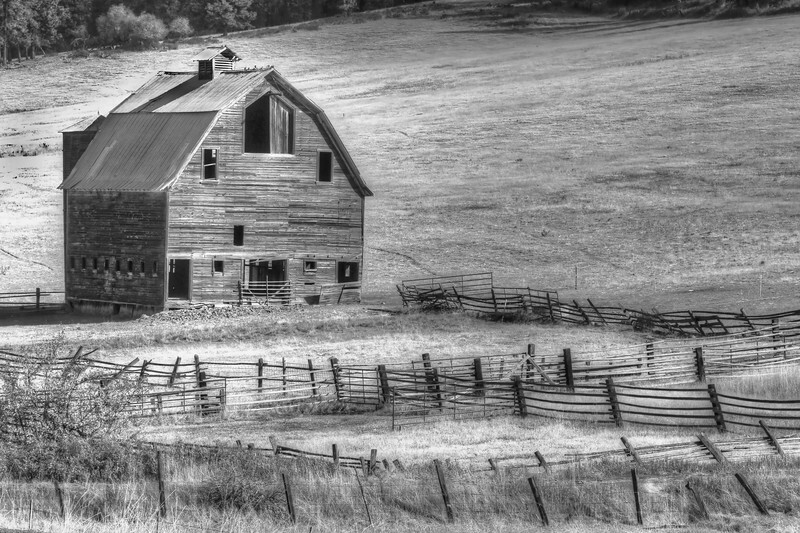 This weathered barn was found nestled in the rolling hills of central Washington. Its size seems to testify to the fertility of the place. Wonderful find and capture and BW conversion. I so love finding old structures like this - great find, and awesome capture.